Hipsters are taking over the world. By the world, I mean my Instagram feed. Everyone considers themselves photographers, and anyone can be one as long as you have either an iPhone or an expensive camera. I have both, which obviously allows me to appreciate photographs, so I follow some pretty high profile accounts. I am a mediocre photographer, as my ex-boyfriend so lovingly described. I’ve noticed a trend in some of the photographers I follow, and once I see they support this trend, they typically get unfollowed. Film. Film cameras have made a comeback. I don’t know when, I don’t know how, but they have. It makes zero sense to me. We’ve made such technological strides when it comes to cameras. They’re now capable of going to 64,000 iso, have 65 point sensors, and have around 18 megapixels. You can take great pictures even if you have no idea what you’re doing, which is why everyone thinks they’re the worlds next National Geographic photographer. 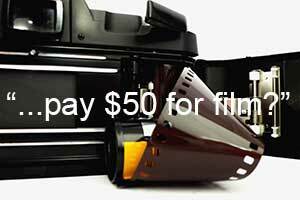 Why buy a $30 piece of equipment made in 1980 to pay $50 for film? You play a game when you take pictures with these cameras. Maybe that’s part of the fascination with film – I have no idea. It’s possible taking a great photo with these cameras takes more skill, but who really cares if you can take a picture with a piece of outdated equipment. That’s like being able to text on a Nokia brick. Not only do film photographers exist, but they appear extremely arrogant. They also think the entire photography industry has just “gone to pot” because we embrace the change and the beauty of digital photography. Sorry I like the convenience for both my wallet and my brain. 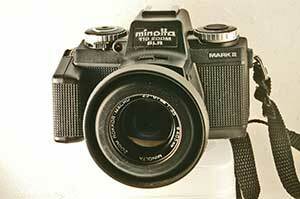 If you take photographs with a film camera, congratulations, because you’re better than me, seriously. 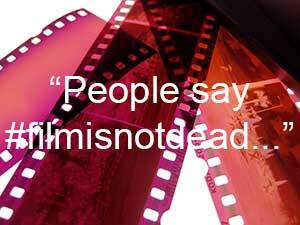 But if you have film prints, there’s never a reason those should appear on social media as a digital image would. I’ve seen many film photographers post their “scans” on Instagram, which means the photos they’ve taken with their film cameras were digitized. In my opinion, this defeats the purpose of taking the image with a film camera in the first place. It’s basically bragging about your process of taking photos while criticizing exactly what you don’t like about the industry. Film cameras are treasured, as they should be, but their images shouldn’t appear on my feed. I thought it’s supposed to be about art, not instant access. People say #filmisnotdead, but if those scans are treated as digital, I think you’re just putting nails in the coffin.